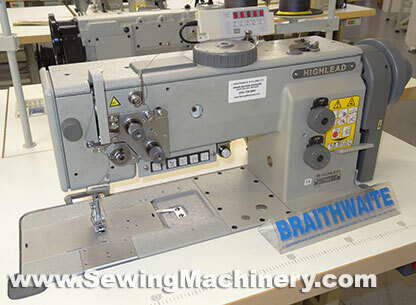 The GC20688-1D is Highlead's high speed heavy duty compound & walking foot feed lockstitch sewing machine with automatic thread trimmer and advanced features including: quick presser foot stroke adjustment and integrated second stitch length adjuster. 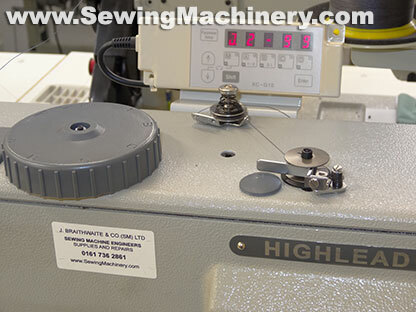 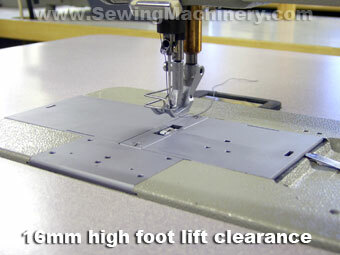 For use in many sections of the heavy duty sewing industry including the manufacture & topstitching of high-end house hold upholstery, car upholstery, leather goods, seats, filters, technical textiles, plastic & laminated products etc. 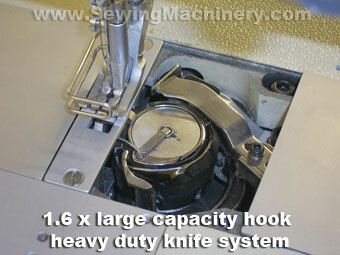 Its heavy duty combined triple feeding action by way of: bottom feed, needle feed and walking foot top feed, guarantees effective handling of medium to heavy weight materials, leather and fabrics. 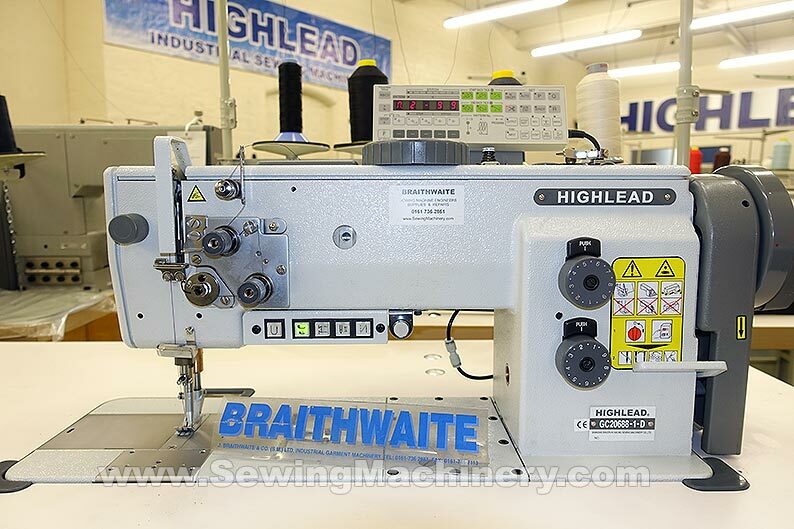 The Highlead GC20688-1D is very much a premium high specification model and has features including: heavy duty sewing speeds up-to 3500 stitch per minute, longer 300mm under arm clearance, automatic thread trimmer, automatic seam back-tacking, automatic foot lifting device, digital stitch program box and easy to use under arm controls. 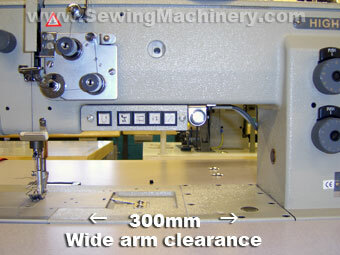 All these features come as standard and are not expensive options; so you get a "top of the range" industrial sewing machine straight away. 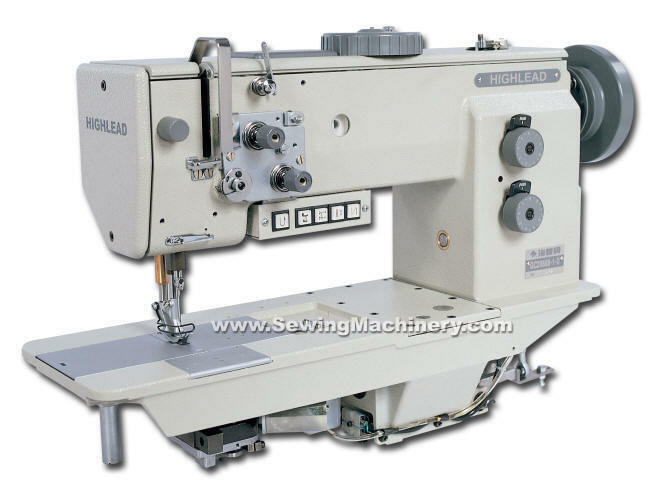 The latest revised model is fitted with a world class electronic control system and heavy duty servo motor manufactured by the Mitsubishi Electric Corporation Japan. 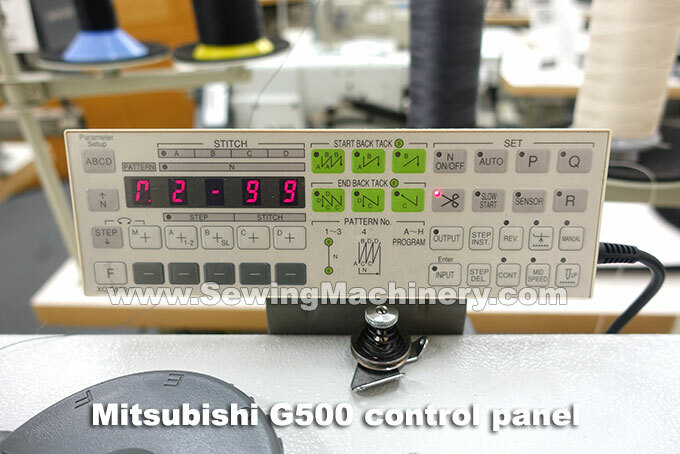 2016/17 onwards UK models also include a larger user friendly Mitsubishi G500 operator control panel. 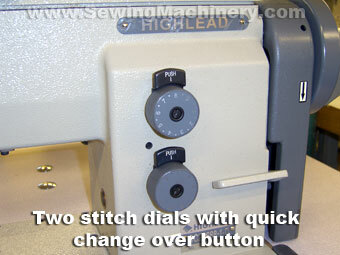 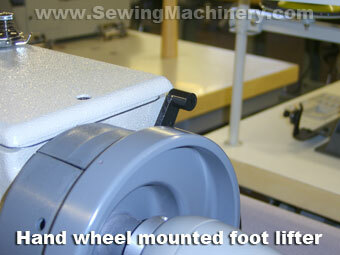 Easy to operate top dial adjusts the alternating presser foot movement and automatically sets the corresponding sewing speed.